Our sales people are themselves professional tradesman with years of experience designing, repairing and constructing on roofs and other building service. We typically can inspect and give you a formal proposal Within same week you contact us. There are many kinds of flat roofing systems that can be installed on residential buildings. Shields experienced roofing professionals are trained to determine what kind of flat roofing system will meet your needs. At Shield we understand that the long-term performance of a roof depends upon meeting the unique needs of every project. Our skilled professionals have the practical field knowledge you need to ensure that your roof stands the test of time. Shield Roofing & Construction has over 60 plus years of experience in commercial and residential roofing and waterproofing throughout Chicagoland. Our services include new construction, rehabilitations and repairs. We believe that exceptional service builds long-lasting relationships and we have built our practices on a commitment to quality, reliability and respect. We know the long-term performance of a roof depends on meeting the unique needs of every building and project. At Shield, our skilled professionals have the knowledge you need to ensure that your roof stands the test of time. There are many kinds of roofing systems that can be installed on residential roofs. Whether your project requires a simple resurfacing or an entire roof demolition, we have the capabilities and the knowledge to do it all. Restoration can often extend the life of a aged roof or building. Our experienced roofers have the knowledge to conduct a professional inspection and make recommendations about the best way to repair your roof & building. 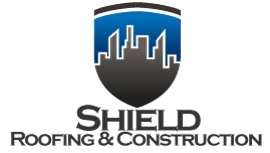 Shield is more then just a roofing company; with 60 years on are belt we have successfully become one of Chicagolands lead Construction Company’s, From Decks to Building Entire Buildings and Homes we will get the job done! 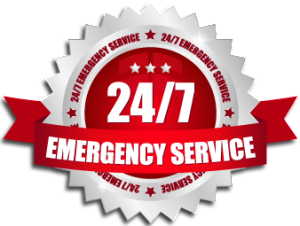 Shield Roofing & Construction is dedicated to providing quick and considerate service. If you need any type of work please contact us and estimator will discuss the project with you and set up an appointment for a site visit.